The internet has come a long way from the bare-bones, plain text and hyperlink look of the first websites. At the same time, a lot of the building blocks of our surfing experience have been surprisingly resilient. Despite the availability of alternatives that don’t sound like they were recorded with a microphone made out of a tin can, the mp3 is still a popular audio format. And the developers at Compuserve probably never imagined how popular the GIF would be in 2019 when they first crunched down a photo into bitmap glory over three decades ago. 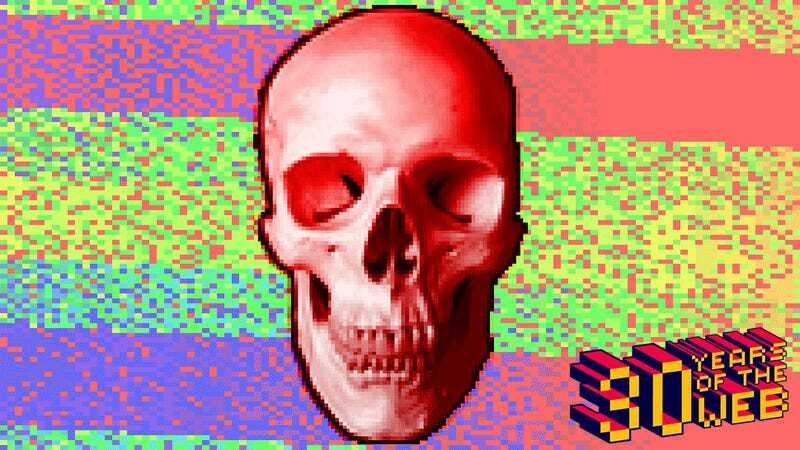 Still, some facets of the early web didn’t have what it takes to participate in our modern online hellscape. Let’s take a look at a few examples that either died as a hero or lived long enough to become a villain. As the potential for the web’s wild west started to come into view, these companies began to open up their platforms to the wider world that was slowly being built. However, their proprietary browsers didn’t play well with other programs and were getting creamed by more flexible options like Mosaic and NetScape Navigator. The strategy of boxing in people’s web experience managed to hang on in one way or another until the end of the ‘90s, but it officially died when Prodigy announced that it simply couldn’t continue its “Classic” format because it wasn’t Y2K ready. With the upcoming rollout of 5G wireless standards, we’re seeing forecasts that virtual reality is going to finally catch on, for real, this time. The story of VR is a story of constant failure. One chapter in that story is the almost completely forgotten attempt by Apple to offer a web-compatible format that attempted to offer a virtual reality-esque experience when it still took a couple of minutes to download a low-res photograph. Apple first showed off Quicktime VR in 1995 and it never really caught on. At the time, the technology was pretty novel even though it was more of a 360-degree panorama simulator than a full-on VR experience. It found some limited uses like stitching together photos for news reporters to walk viewers through the crime scene at O.J. Simpson’s mansion, but when Steve Jobs returned to the Apple in 1997, he deprioritized the project. Today, YouTube and many others offer the option to upload and explore 360-degree photos and videos. Like in 1995, very few people care. Before the founders of YouTube went on a trip to the zoo that changed everything, RealPlayer was the way you streamed video online. It was a nightmare of dropped connections, long load times, and terrible video quality. It was also a notorious vessel for spyware and took over your computer like an incurable disease. techno.org, one of the flashiest of Flash sites. Flash and Shockwave will probably best be remembered as the software that gave us countless animated videos which came to define the weird online humor of the aughts. They also mercifully helped kill RealPlayer’s dominance over streaming video. But perhaps most importantly, they ushered in a much more interactive and multimedia-rich web experience. Web design exploded in every direction, and it took several years for all of us to learn that we don’t need splash pages or fancy button effects to navigate the web. Many terrible-looking websites were built and many rudimentary animations were painstakingly rigged. In the end, Shockwave and Flash were overtaken by more powerful standards like HTML 5. Their deaths were also ignoble, as they live on as a serious security risk. Aside from being eight years old and asking random strangers if they “want to cyber” without knowing what that means, my first memory of the early web is looking at a book. The Internet Yellow Pages could be found on the desk of many an early-adopter-Dad in the ‘90s and served as a valuable resource for finding something to do online. There was no Google back then, and you mostly just relied on whatever your ISP suggested on a web portal or lists your friends suggested. But the Internet Yellow Pages served as a recognizable guide to ease you into the transition from the era of the telephone to the age of the chat room. Believe it or not, the analog guide that suggested a small number of URLs for a range of common subjects was remarkably resilient and continued to sell new editions well into the aughts. But it’s Google’s world now and Bing’s just living in it. Much like Flash, the Java applet became a security problem. As more browsers dropped support, Oracle decided it was no longer worth the hassle to keep fighting off bad actors with updates. It’s almost incredible that there’s residual fondness for this godawful sound now that we have computers in our pockets with blazing fast, always online connections. The agony of this sound as your 14.4 kbit/s modem struggled to make contact with cyberspace has given us all some kind of Stockholm syndrome. It wasn’t fun. It wasn’t filling the moment with glorious anticipation. It was annoying and infuriating and all it did was keep us from being online. Okay, on that last point, I get the love. For as many reasons that the dial-up modem sound was bad, the under construction banner was good. It wasn’t something you wanted to see, necessarily—it simply signaled that you’d hit a dead end. But while everyone was creating their personal websites, they needed something to tell the world to watch this space, creating countless versions of the iconic under construction GIF. Today, the under construction banner is rarely used. And it’s become a symbol of the walking dead existence of the personal website. In 2019, the biggest reason to have a personal website is so that people can find your email address. Most small businesses find social media accounts to be far more effective for getting attention and informing customers with news updates. 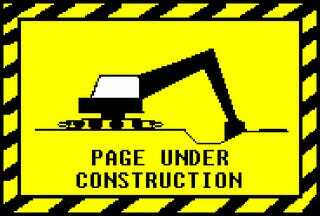 And in my opinion, the under construction banner has become the most iconic of the icons of the early web.